Hello, everyone! Happy Saturday to you! I hope your weekend is off to a great start! 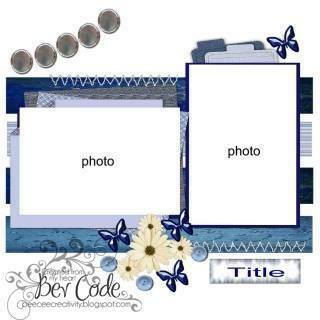 We have the third sketch for July for you today and this week our sketch is courtesy of Bev Code. Sometimes it's hard to find a good sketch featuring two photos with different orientations, but Bev has knocked it out of the park with this one! 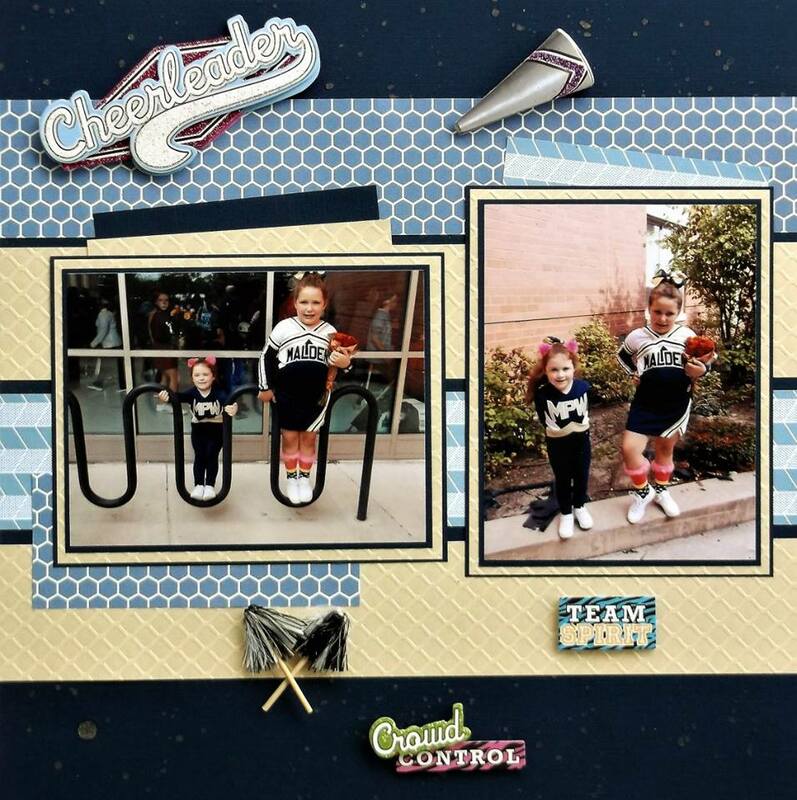 I love the colors that Tracy has used and oh my word, those pom poms are the cutest embellishment ever! 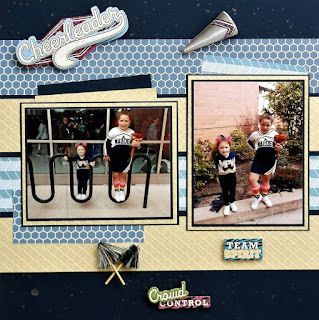 Be sure to stop by Tracy's blog - Tracy's Scrappy Hideaway to see more of her beautiful work! We have a fantastic prize being offered up in July! 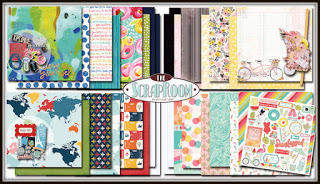 Rochelle Spears with The ScrapRoom is our sponsor for July and she will be donating a $20 gift card. You can't win if you don't play, so get those layouts linked up by July 31st for your chance to win this awesome prize! Thanks so much for stopping by today! Happy Scrappin'!